I salute your conference. I would also like to extend my profound appreciation for the initiative of the majority of the Parliament of Italy in support of the Iranian Resistance for freedom and democracy. This is the example of a responsible and insightful policy that considers not only Iranian people's freedom but fundamental interests of Europe with regards to the center of the most sensitive crisis of the world today, the Middle East. Some in Europe and the US expected to see an opening in Iran after the nuclear deal in July 2015. Some thought that in the sham elections in March "moderates" would take the upper hand and balance contentious policies. The situation, however, deteriorated in every respect after the nuclear agreement. 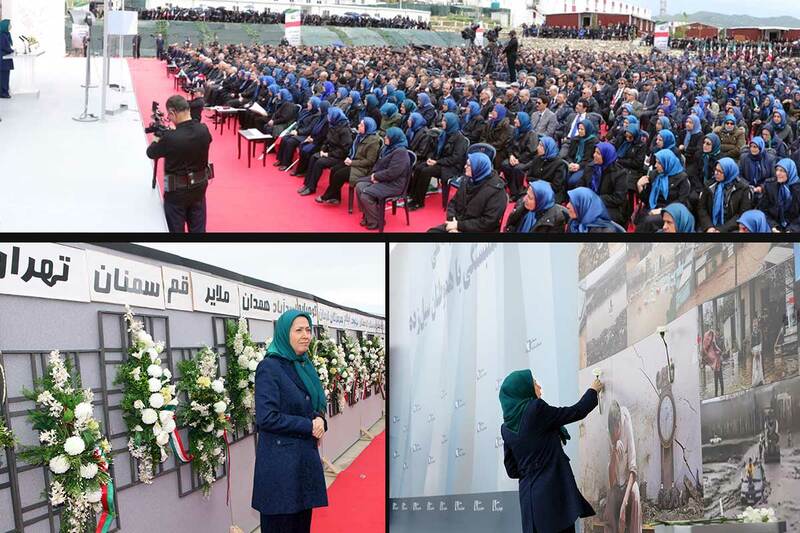 The number of executions and arrests has soared, the economy has become more stagnant, poverty has aggravated, and the IRGC's vicious pursuit of belligerence in Syria and the Quds Force's atrocious massacre of Iraqis have become worse. The sham elections of March produced a monster instead of moderates when Jannati, a staunch Khamenei loyalist and the very person who had screened all election candidates, became the head of the Assembly of Experts .But why did this happen? Firstly, because there are no moderates in Iran's theocratic regime. Secondly, because the clerical regime is extremely frail, riddled with crisis and not able to show any flexibility towards the public. It is therefore in greater need of stepping up its social repression, export of terrorism and war. Just recently, the mullahs' parliament declared that the country's banking system had gone bankrupt. At the same time, the regime's interior minister has in an official report declared that they arrest an average of 600,000 people every year. Of course, the actual figure is much higher. Meanwhile the mullahs have carried out mass floggings of workers for going on strike and students for taking part in a graduation party. They do so because they are confronted with volatilesocial discontent throughout the country. The regime's instability is evident in every respect. The mullahs have no solution for this crisis. Stepping up dictatorship, repression and belligerence, no matter how severe, cannot comprise a long-term solution for them. This is exactly why the Italian Parliament's initiative is very significant in showing the way out. This situation also bears an important message for those who seek economic relations with the mullahs. The message is that they are on the wrong road. On the one hand, the hugely stagnant economy has diminished the country capacity for economic agreements. On the other hand, the lion's share of the Iranian economy is dominated by the Velayat-e Faqih and the Revolutionary Guards Corps. Therefore, any deal with Iranian companies is actually a deal with the IRGC and fuels their system. Fueling the IRGC machine is tantamount to spreading terrorism and war throughout the Middle East and North Africa. For Italy, this translates into a mounting refugee crisis and for Europe, into stepped up terrorist attacks. The Iranian people, because of their longstanding friendship with the people of Italy, have a special respect for your beautiful country. Bilateral relations must expand in all realms including trade, finance, culture, science and technology but the religious dictatorship ruling Iran is the great obstacle to such excellent relations between our two nations; the regime must be replaced with a pluralist and democratic republic founded on the principle of separation of religion from state, equality of men and women and restoration of human rights. 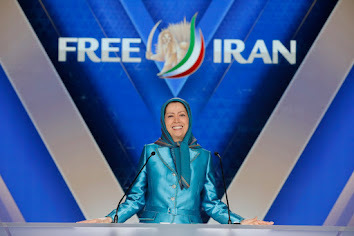 On behalf of the Iranian people and Resistance, I'd like to express my gratitude to the elected representatives of Italy and the exalted personalities of your country, for lending support to freedom of Iranian people. I am truly grateful. It is your efforts that builds the cornerstone for durable and friendly relations between our two nations.